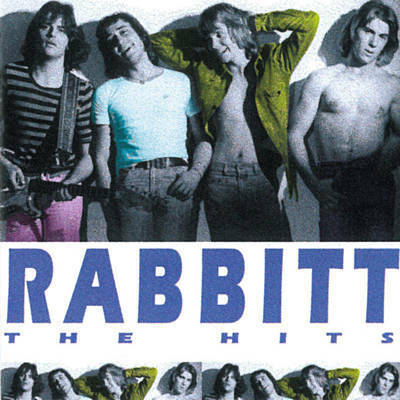 Rabbitt slowed things down a notch when they recorded this one. Their bigger hits such as ‘Charlie’ and ‘Locomotive Breath’, although not frenetic or particularly noisy, were certainly rockier affairs. But here we are in slow rock ballad mode. There are some aaahh’s underpinning the verses which are not that far away from the similar part on 10cc’s ‘I’m Not In Love’, but where 10cc keep it cool, Rabbitt do throw in some electric guitars every now and then to remind one that they knew how to handle an axe. ‘Lifeline’ really shows off the craftsmanship of Trevor Rabin and the boys when it came to putting a song together. The production is also slick, giving this love song a velvety feel as it seems to glide along on a cushion of air. While their rockier numbers like ‘Charlie’, ‘Morning Light’ and ‘Locomotive Breath’ had chart success, ‘Lifeline’ prefers to hang around in the background, taking a slow seductive approach compared to the more ‘in your face’ sound of the hits. It showed another side of Rabbitt that I’m sure the girls loved just as much as their bouncier side.